It is said that everyone is innocent until proven guilty. This is the reason why there is a judicial system setup in every country – to provide justice for all. Until a person is proven guilty, he can neither be sentenced nor can he be given any punishment by the police force. A person may be remanded in jail on basis of suspicion but he cannot be ill-treated or tortured physically. There have, however, been instances when people, who were retained in jail on the basis of suspicion, have been severely ill-treated, sometimes even leading to their deaths. Bearing in mind the misuse of power that many police officials have done, the Indian Constitution provides for the safety of such people. A person cannot be retained in custody if there is insufficient evidence of his guilt. The police must make a person aware of his rights even when arrested and must not ill-treat the person until he can be produced in court. Arrests made under false pretences, lack of sufficient evidence, searches without search warrants, which lead to arrests – these are some of the instances when illegal custody takes place in jails. Illegal custody is strictly prohibited in our country and person who feels he is suffering due to this issue has the right to ask his advocate to move the court to get justice on this matter. It becomes the advocate’s onus to prove that his client is innocent until the case has been tried or that there are insufficient grounds for the police to detain him and get him released from jail as soon as possible. 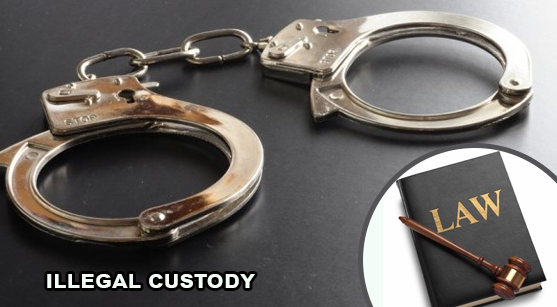 Advocates in Chandigarh has helped many such clients in illegal custody cases. We have ensured our clients do not have to face prolonged physical and/or mental trauma at the hands of the police and can breathe free. We ensure we convincingly prove in front of the judge that client must not be allowed to be put behind bars on an illegal basis.